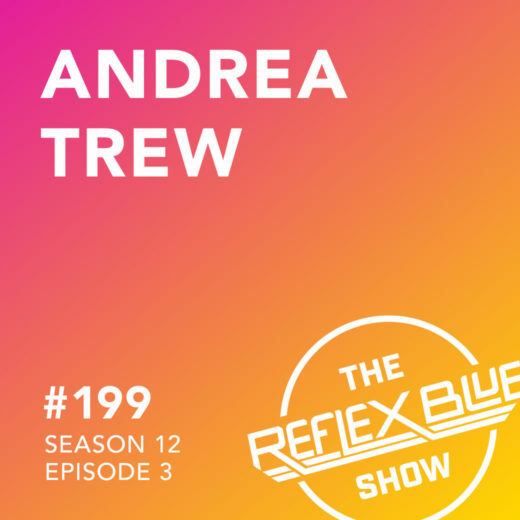 Andrea Trew stops by The Reflex Blue Show to talk about her new company, Trew Creative. Andrea spent the past three years as the sole designer at Flywheel (36 Point has been hosted at Flywheel since 2017), and before that worked at a few ad agencies in Omaha. Paul Meyer co-hosts, as we talk about Andrea’s speaking tour on “Building a Startup into a Brand” and “Behind the Scenes”, as well as her motion-capture workshops with Kimberly Bailey. We also cover pugs, and meeting partly through volunteering with Pug Partners of Nebraska.